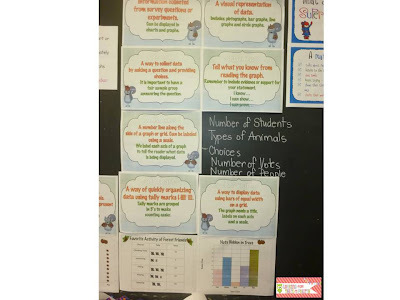 I was a guest blogger over at Lessons from the Middle - here is a quick recap of my kick off math lesson just in case you missed it (the Coles Notes or Cliff Notes version!). If you read all the way to the bottom I've updated where we are at and where we are headed. *first we played a classroom minute to win-it like game. Students were giving some conversation hearts (left over from our Valentine's Math!). They were given 1 minute to stack them as high as they could. Each time it fell they were to start over - but record the height of the tower before it fell. Her stack just fell over! *wWhen the 1st minute was up I recorded their data (only at that point we were calling it scores) on our Brightlinks whiteboard. *I recorded their numbers in an unorganized manner and asked them a few questions: Which one's were Preston's? Who made taller towers the girls or the boys? Which number is on the board the most? The students all agreed that we could not answer some of those questions just by looking at the numbers, and when someone told me what number was up there the most and I asked are you sure they quickly said well no, I said can you prove it and they started to hesitate. *next I gave students paper strips (all the same length). They were given 3 minutes to create the longest paper chain they could. *once we had all the chains we talked about how they were displayed - were they easy to compare. The students decided they all needed to line up at one starting point so we could compare them. *then I brought out my chain - I made it with 11 x 17 paper instead of their 8.5 x 11. We came up with the idea that we needed to count mine to see if it was the longest - and it wasn't. We learned - a graph needs a standard size or scale so that we can read it accurately. Today, we made more paper chains - I had a lot of students absent the first time and wanted everyone to be involved, I also wanted to be able to use them for mode - so I needed a few with the same amount of links. We reset-up our graphs, identified the missing parts, added the title and labels. We then talked about how they could create a pictograph using our data. We started a pictograph together on our Brightlinks. The focus was on using a key for a pictograph so we did not have to draw tons of circles. I also modeled the importance of drawing a symbol that was close to the same size each time. I gave them their learning goals for this unit and we focused on the fact that our graph needed a title, labels and a key. They started working and then we stopped and they shared their graphs with a partner - just how they were making it, what their key was and helping your partner to identify any missing elements or next steps. I added some of the posters from my graphing unit on to our math board for the students to reference. Tomorrow we will convert our paper chains into linking cubes so that we can model and create bar graphs (and I can put the huge paper chains some where out of the way for now!). 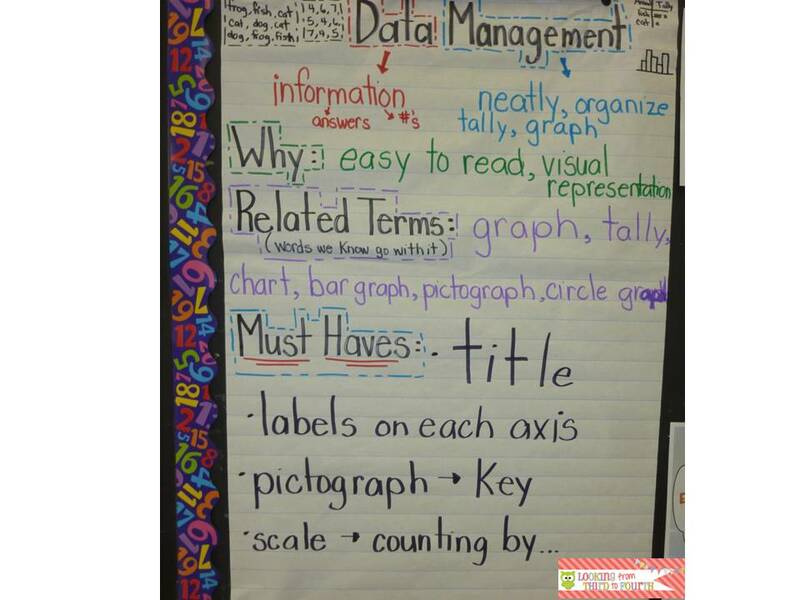 I am linking up with Love2Learn2Day for Math Monday Blog Hop. Don't forget to check out these great giveaways. I really liked how you got them to think about scale. Making your chain from a different sized paper was a good idea. Thanks for sharing! Thanks Amy! The kids were outraged when I brought mine out - so I think the message was received! This is fantastic! 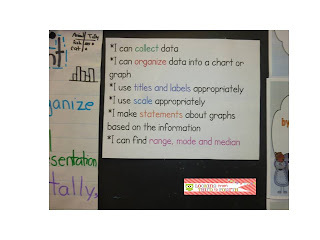 I loved that students could decide how to represent the data, rather than being told how to do it! I can't wait to do this with my class on Tuesday! This is great! What grade did you complete this lesson with?